Comment: I would like to get an estimate for termite control, one time extermination, this is going to be in the garage and basement areas. I already had an inspection done and just need the extermination. I also want to know if you can provide me with a certificate that indicates that the termites have been exterminated. Comment: Can't seem to get rid of the flies in my house. I tried to treat it with fly spray, but they still come back. Comment: A mouse was spotted in upstairs kitchen. Lansdowne Pest Control Services are rated 4.65 out of 5 based on 1,929 reviews of 18 pros. 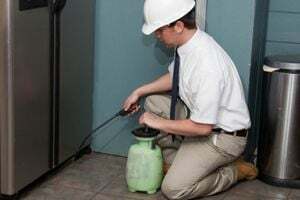 Not Looking for Pest Control Contractors in Lansdowne, PA?